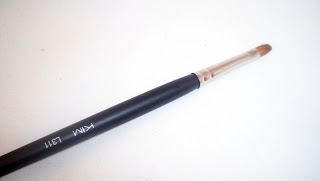 I'm back with another brush review! 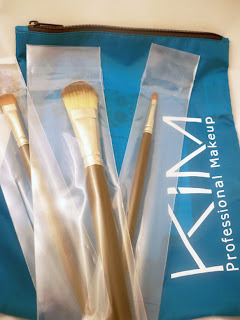 I was contacted by Kim Brushes to test out some of their products. For those of you who don't know, KIM is a line of professional grade hand made makeup brushes from Rekab - a 100 yr old fine art brush company originally out of London, now producing out of Israel. I'm a brush junkie myself so I like to give my readers as much info on all the brush companies out there. Interestingly enough, this is not my first experience with the company. Over a year ago I tried out some of their brushes and honestly was not that impressed. I'm happy to say they've come a great way since then and I'm happy to share my review with you all. 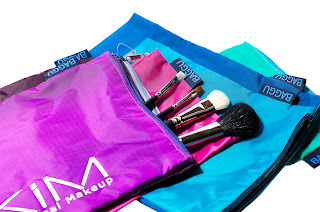 First off, I received 3 brushes that come in a super cute zippered pouch called a Baggu. 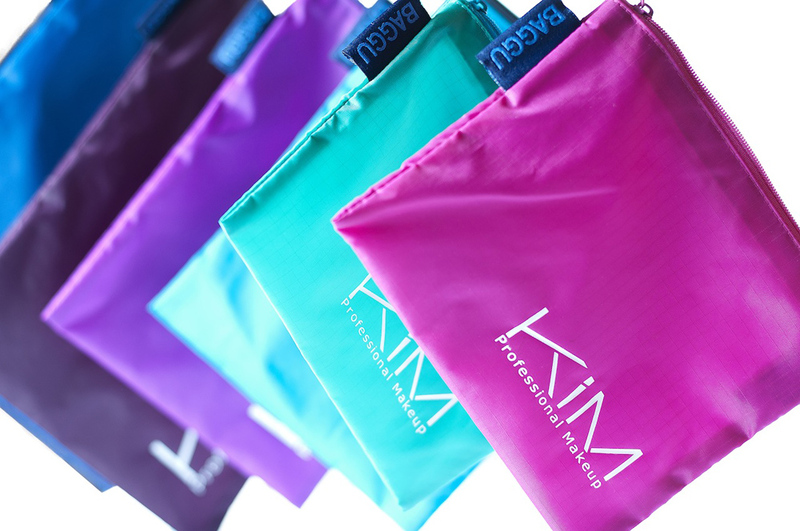 The baggy is really nifty as it's made out of a water resistant material and comes in super handy for travel or storage. You can't buy the bag on its own but it comes free with a $50 purchase. 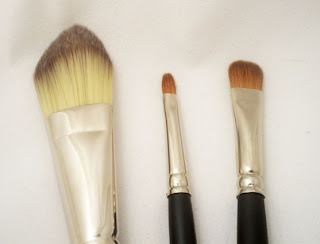 The brushes do come out with starter and full size kits ranging from $68 (basic) to $118 (pro). 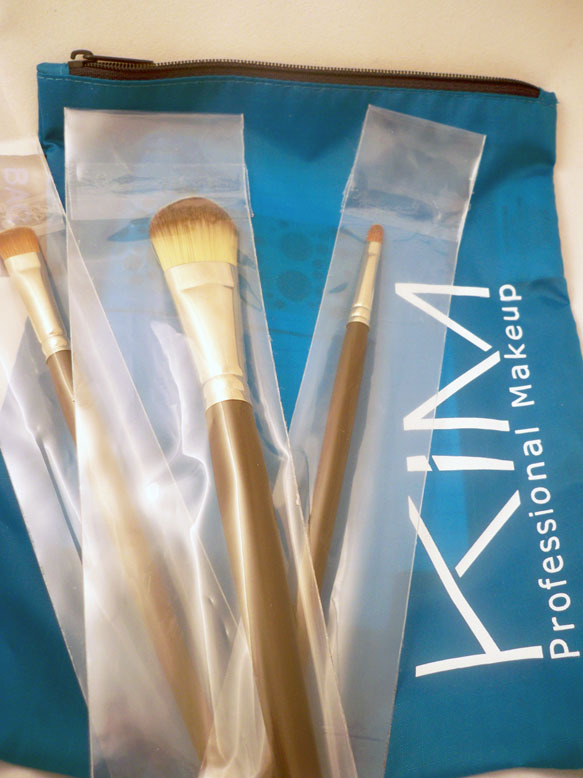 You can also buy the brushes individually. 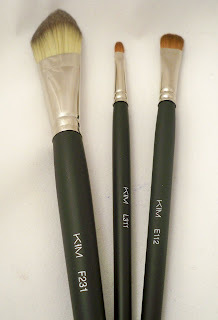 I received 3 individual brushes to test out. 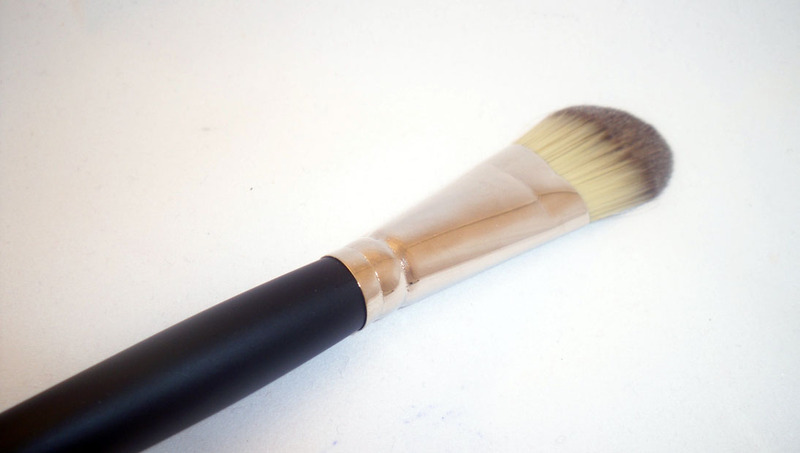 This is a standard foundation brush. I like the wide cut of the bristles to cover a large area at a time and then it comes to a nice tapered edge. When I tested it out, I noticed the bristles are a bit floppy which is okay for a lighter foundation look but you might lose a little control if you want maximum foundation application. I'd say that this is a standard lip brush. Great to have, especially if you're a makeup artist. Can't have enough lip brushes! The natural bristles are not as stiff as the synthetic ones on a lip brush so you lose a bit of precision but overall it works fine. 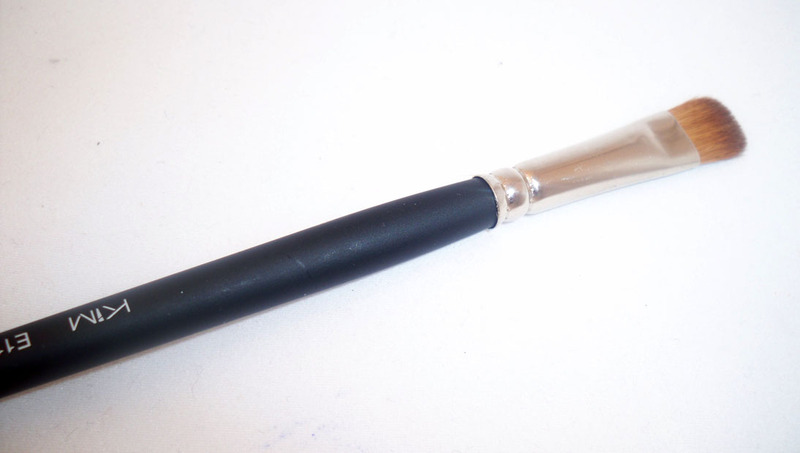 This brush doesn't necessarily look anything special, but I love how flat and thin it is. It fits really nicely under the browbone for a precise highlight. Would I Recommend? In the end, the brushes are pretty standard - not bad at all but not the best i've tried and some of the individual prices are not that cheap. If you like no frills, sturdy brushes you'd probably like these in your collection. I'm glad I got to test out the line but probably wouldn't repurchase in the future. FTC Disclosure: Products sent for review. I am not affiliated with the company and not paid to write this review. These are my honest thoughts and opinions. Come Meet Me - Upcoming Beauty Brunch! Winner! 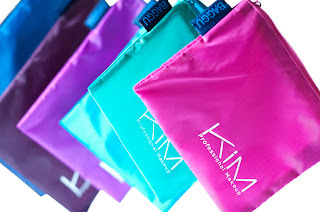 Sigma Make Me Crazy Brush Set! Eve Pearl Cosmetics Phantom Promo - Just for you!